Allows instantaneous traversal between Teleporters! Requires Tek Generator to power, and Element & Tek Engram to use. 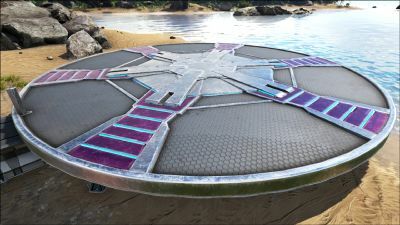 The Tek Teleporter is one of the structures in ARK: Survival Evolved that allows the teleportation of survivors and both wild and tamed creatures across the map. 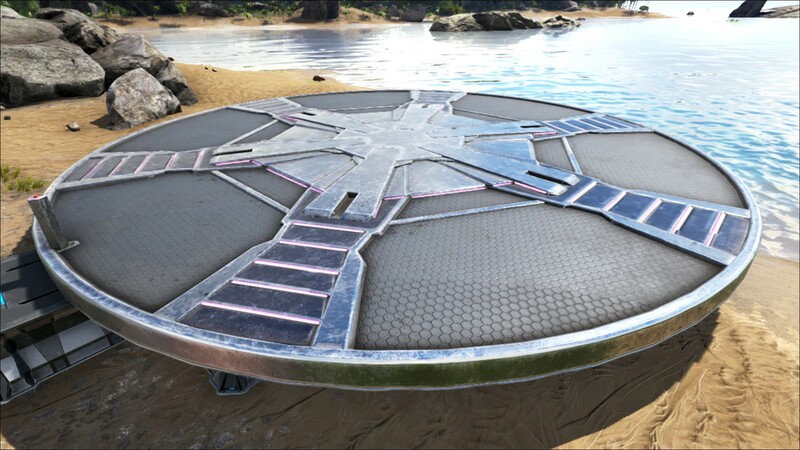 The Tek Teleporter allows teleportation of survivors and creatures from one Tek Teleporter to another. There is no cost to operate the teleporter, but it does need to be powered by a Tek Generator. 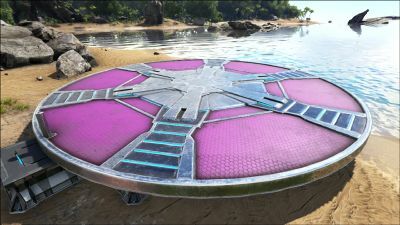 Enabling Public Teleportation allows other survivors not from the same tribe, who have unlocked the given engram, to teleport towards the same destination as the survivor that activated it. This still requires a member of the owning tribe to activate. When you teleport, the available teleporters on the pop-up will be shown as a bed icon. You can also rename your teleporter, which can make it easier to remember which teleporter is in which location. This will ensure that you know which teleporter you want to travel to. The Teleporter is a very large circular disk, whose leading edge, where the activation post is located, must be placed on a foundation. The rest of the platform area does not require foundations underneath for placement. Place the Tek Generator first to ensure that your power source is not blocked by Enemy Foundation. Fill the entire base of the teleporter with foundations to avoid getting tamed dinos stuck underneath it. The structure is approximately 8 tiles in diameter. Prior to patch 260.0, teleportation required expending Element Shards. The amount used increased with the total weight of creatures and items being teleported. Patch 273.62 introduced the "Enable Public Teleportation" option, which makes it possible for survivors who are not part of your tribe to use your teleporters to and from every teleporter that has this option enabled. You cannot use the teleporter while swimming (characters or dinos). To use the teleporter, it seems you have to step on it. This make the teleporter useless for underwater creatures, you can only use it when inside a Vacuum Compartment. 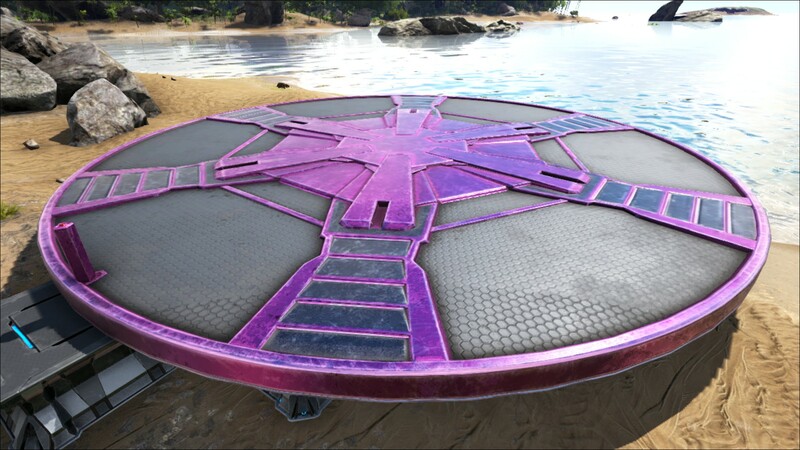 Prior to Patch 282.102, the Tek Teleporter cannot be built on Aberration. To unlock the Tekgram for the Tek Teleporter you have to defeat the Dragon on hard / alpha difficulty. This page was last edited on 11 April 2019, at 08:12.